Panda Research - Are They Worth It? Panda Research – Are They Worth It? So what is Panda Research? Can you make money online with them? Is Panda Research legit? These are all questions that I will answer in the following review. 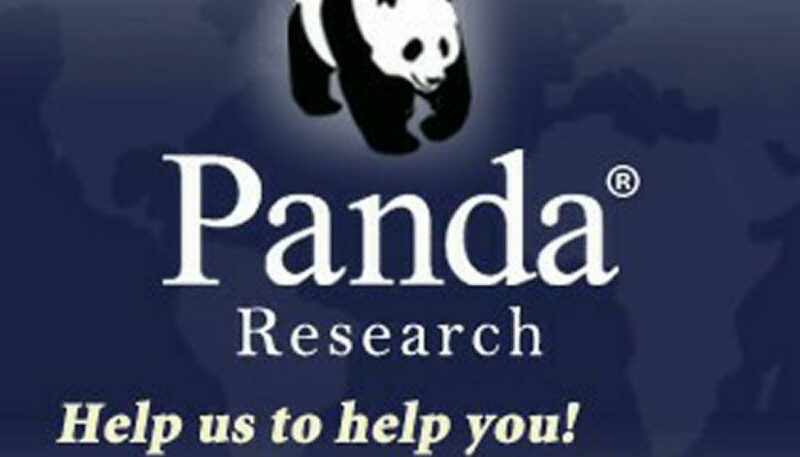 It is my intention to give you the information about Panda Research so that you can make an informed decision yourself. I joined Panda research back in 2016 and have used them to try to earn some money online doing surveys and reading emails. So this review is a look from the inside and my experience with them. Panda Research has been in business since 2004. They are actually owned by Digital A&A Marketing Inc out of Illinois. They are not accredited with the BBB and received an F rating, which is as low as the BBB business rating scale goes. There are many complaints with the BBB concerning Panda Research since 2006 that still have not been resolved. You can check them out here at the Better Business Bureau (BBB). Panda Research is a website where you can take surveys and read emails and get paid for your time doing it. So they basically pay you for your opinion on things that they present to you. Simple, right? I thought so. It takes a lot of time doing this type of work online so anyone who has some time to spend online can do this kind of work. If you are a stay home mom, or a student, retired, or just unemployed then yes you can do this and make some cash on the side. Panda Research claims to have paid its members a total of $2.2 million to date. That would mean that they are averaging about $155 000 a year in payouts to their members. Yet in 2016, two years ago, they claimed to have paid out $2.1 million which means in the last 2 years they have only paid out $50 000 a year. Quite a miss-match between the numbers here. They don’t seem to add up right. The system works in the following way. You take an online survey for company ABC and complete it. During the survey, they present you with offers, for example, a 30-day free trial of product A, which you have to accept to be able to be paid for the survey. Some of these offers include a shipping cost that you will have to pay. So for example, if you take a survey that pays out $5 but the shipping costs are $4.70, then you only make 0.30 cents for the survey. You will also need to provide them with your credit card information. Ok so now that you have completed the survey AND accepted the offers they presented to you, now Panda Research will wait to get confirmation from company ABC that you did indeed take the survey and accepted the offer before Panda Research will pay you. And that is it in a nutshell. Please note that the offers do require your credit card information and generally will offer you a 15 – 45 day trial. If you do not cancel within that time frame, your credit card will get charged for the cost of that product. 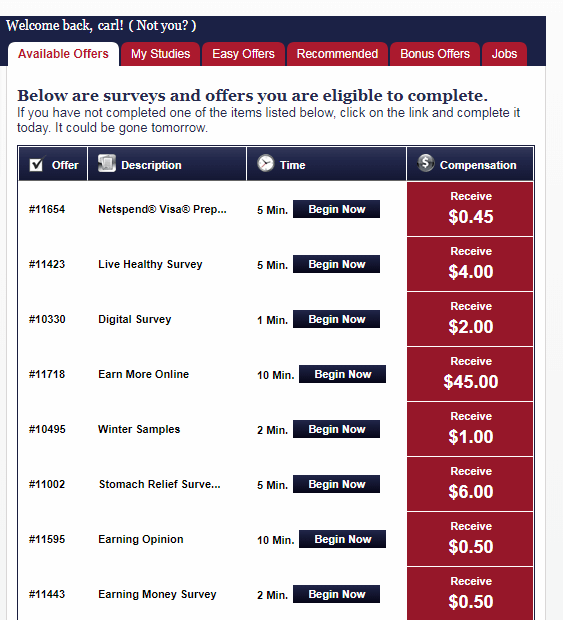 I have seen payouts range from around 0.25 cents to as high as $50 per survey. Though the higher paid surveys are few and far between. The payout threshold is $50 and is paid in $50 increments. This means that you must make $50 before Panda Research will pay you and if, for example, you have made $117.45 then they will only pay you $100 and the rest will stay in your account until it reaches at least $50 again before the next payout. Some surveys pay out in coupons and discounts as well, so not all are cash. So be aware of that. The thing is if the promoting company does not inform Panda Research that you completed the survey then you don’t get paid so be careful of that too. The sign up is free so that is good. Any company that offers surveys to be completed for pay should be a free sign up. if they are charging you then it probably is a scam, just so you know. One thing to note is that Panda Research does NOT guarantee any payments at all. This should be a warning sign to you as well. There are also a lot of complaints online in the BBB and in forums etc. where people are saying that they have not been paid. I had a really hard time finding anything good to be said about them online as well. I personally did a bunch of surveys and made $135.83, but in the last 2 years, I have NOT been paid either. According to them, they are still reviewing the surveys to see if they were indeed completed. I have tried to contact customer support and sent many emails but have not received a single response from them. 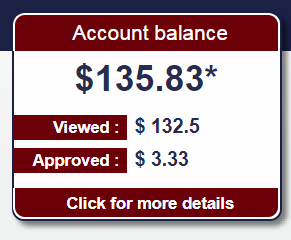 As you can see in the image out of the $135.83 they have only approved $3.33 as actual money earned. So be warned people, they seem to have a major issue with paying out owed monies. Here are some pros and cons about them that I have found and experienced. So this has been my Panda research review. There are many other reviews online that I have researched as well as forums and it is my conclusion that Panda Research is not worth the time or effort that it takes for the amount that you get paid and that is IF you get paid. So try them at your own risk. Also, be prepared to be spammed a lot once you start to do the surveys. Your email will fill up really fast with all the offers, promotion s, coupons, discounts and other material that they will send you. So I recommend that you create a separate email account just for them and not use your personal account. Another point of interest is that they have not updated their website since 2011, seven years ago! 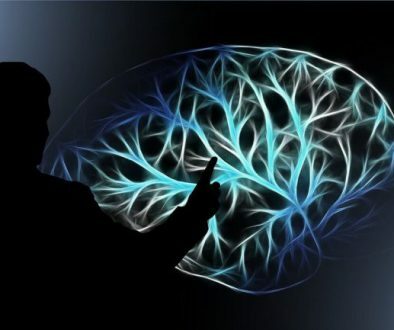 If you are really serious about changing your life for the better and working online as opposed to a regular 9 – 5 job then take a look at my #1 recommended online platform where you can be successful and make a very good living in the online world. Set your own schedule and work on the things that you want to work on and never have a boss telling you what to do again. If you have any questions or comments about Panda Research or you have some personal experience with them, then I would love to hear from you. Please leave a comment below and I will gladly respond to you. How To Make Money By Writing Online	Vindale Research Surveys – Legit or Scam? Ecom Profit Sniper – What Is It? Shaw Academy Review – Are They Worth It? Vindale Research Surveys – Legit or Scam? I have been looking at different ways to earn money online and thank you for the great and indepth reviews of different sites so we know what to look out for and what to avoid! Hi Rox and you are welcome. There are some sites that you should be leary of for sure on the Internet. I cannot join all of them but I will keep endeavoring to bring you a good review of what I do find. Some sites are really good and some are just outright scams so always do some research before signing up for anything. Have a great day and thanks for stopping by.